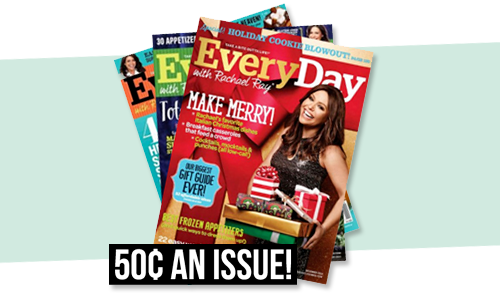 Order an EveryDay with Rachael Ray Magazine Subscription for $4.99 a year. It comes out to 50¢ an issue! Enter the code SOUTHERNSAVE at checkout to get this deal. Offer expires 2/27 at midnight. Everyday with Rachael Ray is a great read for new cooking techniques and has a ton of recipes for quick dinner inspiration! Rachael’s 30-Minute Meal recipes are worth grabbing a subscription by themselves.